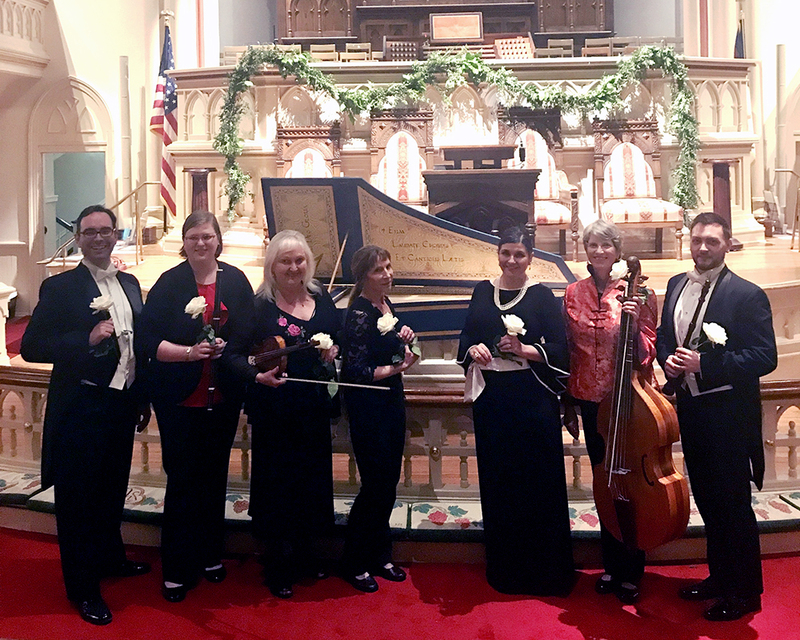 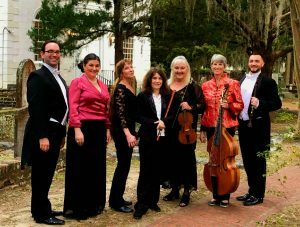 Savannah Baroque celebrated Valentine’s Day at a February 16, 2019 concert of works by Arne, J.S. Bach, Corelli, Dowland, Handel, Heinichen, Telemann, and Vivaldi. 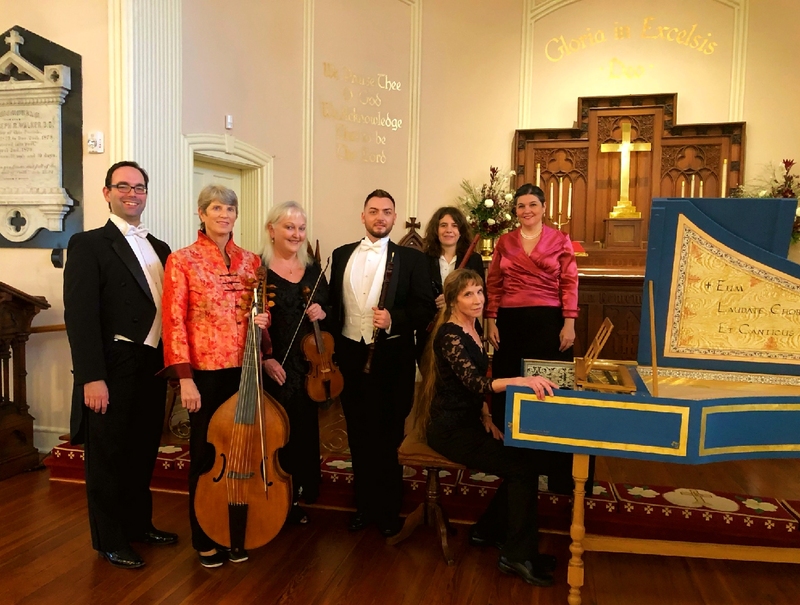 Performers: soprano Tina Zenker Williams; baritone on Kyle Siddons; Eric Caines on baroque oboe; Jeana Melilli on baroque flute; Ann Cafferty on baroque violin; Marcy Brenner on viola da gamba; and Anne Acker on harpsichord. 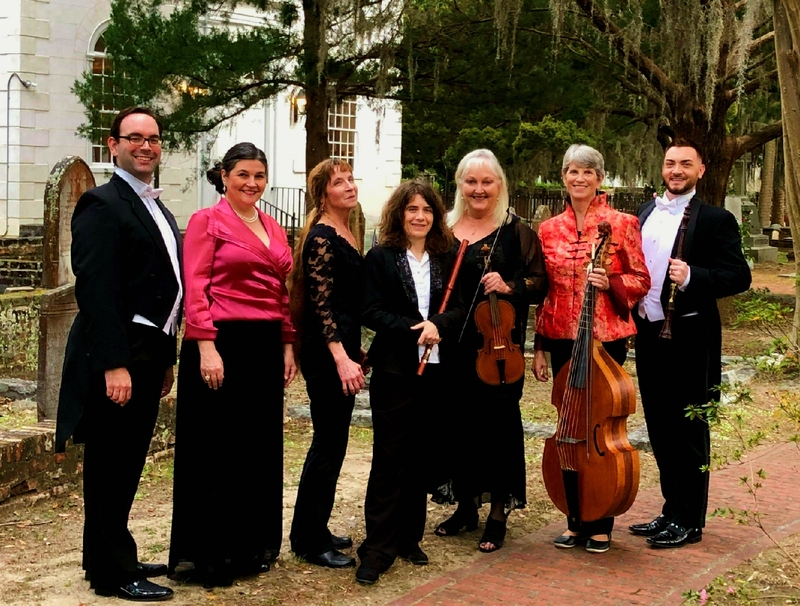 On March 10, 2019 Savannah Baroque celebrated International Women’s Day with a program of outstanding vocal and instrumental works by women composers of the baroque era including Anna Bon, Francesca Caccini , Sophie Dussek, Isabella Leonarda, Mariana Martines and Barbara Strozzi. 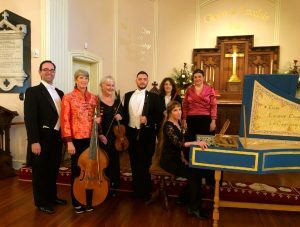 Performers: soprano Tina Zenker Williams; baritone Kyle Siddons; Jeana Melilli on baroque flute; Erika Andres on baroque flute; Ann Cafferty on baroque violin; Marcy Brenner on viola da gamba; and Anne Acker on harpsichord.